So in my last post, I said I was going to start regularly blogging and then I disappeared again! It wasn't my intention at all, but I get busy with life, and then BAM three months goes by. I have been sewing, in fits and starts really, but I do get stuff done. My latest make, is an extremely cute unicorn pj's set, that I made for my beautiful niece CBB, who turned one in late March. As my twin sister has relocated to Auckland for the next few years, I really feel the need to have special reminders of our family, and this where my sewing skills comes in. I used my tried and trusty kids pj pattern Kwik Sew 3510, which I am certain I could now sew in my sleep, with this being my 13th set! I made size 1, and the only changes I made, were to lengthen the neckband, as I was using jersey with 5% spandex, not ribbing. I cut the size 1 neckband originally but I couldn't get it to fit, and I knew if I over worked the neck area of the pj's I would end with a distorted pj top, so I cut a new piece and added just over a cm. Next time I'll add another .5cm if I don't do binding. I did purchase a complimentary colour binding but it didn't arrive in time. This is a great basic pattern, that goes to size 4, I highly recommend it and most Kwik sew patterns. Project details: Kwik Sew 3510 size 1. Fabric: Both champagne dots and unicorns organic cotton jersey are from W Collection Fabric. Modification: Added 1cm to the neckband. Last remarks: Don't follow the instructions for the elastic in the pants, do a casing instead. See you in 3 months! Greetings, it's been a while hasn't it? I fell off the blogging bandwagon when I was having a tough time with life and never really got back on board, thanks to instagram. I feel the focus has changed from blogging to instagram which is usually just one photo per make, and I for one don't find that it's that effective for me and my sewing journey. I find myself sucked into a world of sewing via social media, looking at fabric, patterns, searching for reviews, without actually doing any sewing, and that isn't a hobby is it? In order to change that, I am going to try and limit social media time, tidy up my sewing area, and keep a project out, and do what I can with the free time I get. I am also going to think about what I need in my wardrobe, rather than get excited about the latest indie release that I *must* purchase. I have an excessive amount of fabric and patterns and I am not ashamed of it, in fact, I get disappointed in it when I meet someone else with a larger stash than mine! Silly but true. I am going to shop from it this year, and use the beautiful fabric I have. It's not to say I won't buy more fabric throughout the year, but I do want to wear some of the fabric instead of storing it in a box. So I'll be blogging again, haphazardly and mainly using this platform to record my makes as my brain is mush these days. 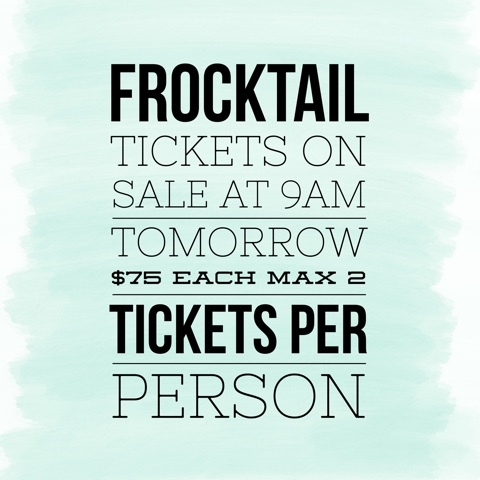 If your are interested in coming along to our spring Frocktails event, ticket sales start tomorrow. Be warned tickets have sold out in less than an hour, so don't delay!